Last week's wild gyrations in global financial markets almost certainly exposed the vulnerability of U.S. state and local authority public pension funds which have piled into riskier assets in recent years, according to actuaries and other pension experts. Based on data from the Federal Reserve, the funds are sitting on nearly $4 trillion in assets that are more than 70 percent exposed to equities and other riskier assets, such as commodities and hedge funds. And some states with massive pension funding deficits, such as Illinois, are likely most in danger of suffering big losses given their risk profiles. Since the financial crisis, many public pension funds have increased their exposure to hedge funds and other higher-risk assets to meet ambitious investment return targets. Most funds assume a rate of return of 7-8 percent a year, according to a May report by the National Association of State Retirement Administrators. Those assets can also take a big hit when equity and related markets plunge. At the same time, they have cut back on safer assets, such as U.S. government debt and other lower-risk fixed income investments, which are not expected to provide big returns in the next few years. Most major pension funds have also stopped short of employing other approaches to limiting losses in broad market sell-offs such as volatility management or dynamic asset allocation strategies that have attracted more attention in recent years, according to industry experts. "A lot of them have just put their foot on the accelerator," said John Vitucci, an actuary at accounting firm O'Connor Davies and a teacher at Columbia University's actuarial science program. "They are very heavy in equities." The change in asset mix in the sector over the last 25 years has also seen a move out of U.S. stocks and fixed income into international stocks. As a result, the recent sharp declines in European and emerging market stocks may have only added to the volatility for the pension funds. Direct stock market exposure has fallen from 52 percent in 1992, to 49 percent at the end of 2014. 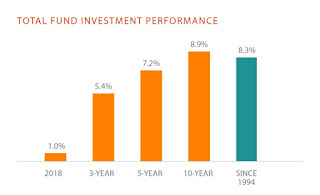 Of total assets, 27 percent is in international stocks compared with just 4 percent in 1992, according to the latest data from CEM Benchmarking. Fixed income assets have shrunk to 25 percent from 40 percent in that time, while the funds' private equity weighting has climbed to 10 percent from 2 percent, and real assets - such as commodities - have risen to 11 percent from 7 percent. Hedge funds, unheard of in public funds in 1992, now represent 5 percent of assets. Earlier this month, U.S. stocks plunged for six successive days on concerns that already weak global economic growth may be heading lower, especially given China's increasingly troubled economy, with the S&P declined more than 11 percent while stocks in Asia and Europe slid by similar amounts. Those falls have since been partially reversed. Among state's with pension funds having equity-type exposure of 80 percent, according to their 2014 annual reports, are those in Illinois, Louisiana, Michigan, and Alaska. For some of these states, such as Illinois, whose largest public pension fund, the $45 billion Teachers' Retirement System, had equity and equity-like exposure of 81 percent, getting slammed by a market meltdown would be another blow to a state already in crisis. Illinois' pension funds are the most underfunded of any U.S. state, with an unfunded liability of $105 billion. The financial crisis left a hole in assets in many public pension funds, making meeting investment targets even more critical. The average public pension fund has only 78 percent of the assets it needs to meet its liabilities, according to a 2014 survey by Wilshire Consulting, down from 99 percent in 1990. Years of low interest rates have also been a blow to funds that have seen returns from fixed income dwindle. U.S. public pension funds discount their future liabilities at their expected rate of return of 7-8 percent. Some economists argue that they should use a rate that more closely reflects long-term risk-free interest rates based on the yield of long-dated Treasuries. With the 30-year Treasury currently yielding around 3 percent that would make the plans far less adequately funded than current estimates. A study by think tank State Budget Solutions in 2014 found the total unfunded liability at state pension plans was $4.7 trillion using a discount rate based on an equivalent 15-year Treasury yield. That compares to an unfunded liability of just over $1 trillion using the states' more generous discount rate. Demographics are working against pension funds as large numbers of baby boomers retire and people live longer. Growing benefit payouts made to members as plans mature puts an additional strain on their asset base. At New York's $184.5 billion Common Retirement Fund, over 63 percent of members are over 45 years old. Another market meltdown could add billions in liabilities for taxpayers in the municipalities that stand behind the plans. A spokesman for the Common Retirement Fund, the third largest in the nation, said diversification will help the fund ride the current roller coaster. "This is clearly a challenging time for all investors," he said. Illinois' TRS "will take all appropriate steps to maintain our members' assets," in the wake of the stock market free fall, said TRS spokesman Dave Urbanek last week. He added that the volatility re-enforces the funds' strategy of building a "highly-diversified portfolio designed to help the system weather market conditions like these when they occur." A spokesman for Louisiana's State Employees' Retirement System said with an asset allocation of 57 percent equities, 14 percent fixed income, 14 percent private markets, and 15 percent in a sector it terms Absolute Return and Global Asset Allocation, its portfolio was "broadly diversified across asset classes and geographies." However, diversification among risk assets does not take into account the high levels of correlation between asset classes that are often seen in panicky selloffs, says Tamara Burden, an actuary at pension consulting firm Milliman who has been meeting public funds this week to discuss risk management. "Most public pension funds don't have a truly effective risk management strategy," said Burden. Representatives for Michigan and Alaska did not immediately return request for comment. Extreme volatility is hurting all investors but the article above highlights why so many state pension funds are at risk if markets head south again. Importantly, too many underfunded and delusional state pension funds holding on to their pension rate-of-return fantasy are in for a very rude awakening if another crisis develops. They're still praying for an alternatives miracle but with hedge funds taking a beating and private equity pretty much cooked, this isn't the time to increase risky assets, especially illiquid and high fee ones. Earlier this week I discussed why CalPERS is looking to cut its financial risk and what this implies. I think a lot of other state pension funds that are in much worse shape than CalPERS should follow its lead and reduce risk. 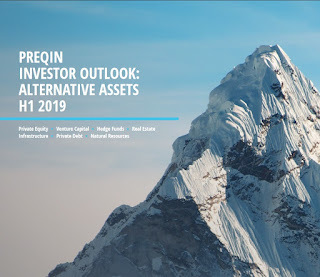 It has been a cruel summer for one of the trendiest, most innovative investment strategies of the asset management industry. “Risk parity” funds seek to give investors equity-like returns with bond-like stability at low cost. They use financial engineering, judicious leverage and passive but clever allocations to stocks, bonds and commodities, with each contributing equally to the risk of the overall portfolio. 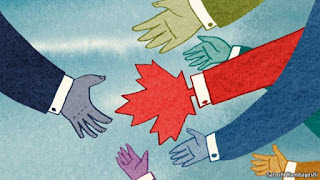 The industry grew to between $400bn and $600bn of assets under management, spearheaded by the hedge fund managers Bridgewater and AQR, but also spreading to many relatively conservative insurance companies and pension funds. But business has sagged badly during the summer months. JPMorgan’s index of 17 risk parity funds that report daily has lost 8.2 per cent since the beginning of May. Another gauge constructed by Salient Partners, an asset manager, suffered its fourth consecutive monthly drop in August (click on image below). “Equities have performed poorly, and rates and commodities haven’t saved the day because many people go to cash when they are scared,” says Roberto Croce, a quantitative research director and risk parity fund manager at Salient. Even worse, chatter about the dangers the strategy poses to the wider market has grown louder and more insistent, with some analysts and investors accusing RP funds — and other strategies that target a certain level of volatility or risk — of aggravating the recent turbulence. A JPMorgan research note has caused a stir on Wall Street by attempting to quantify the impact that various esoteric but increasingly popular strategies, including risk parity, have had as a result of their dynamic allocation, which responds to spurts of turbulence. Given that the strategies target a certain level of risk (here a shorthand for volatility), they pull in their horns when markets nosedive. Some strategies, such as those that simply manage or target a level of volatility, adjust quickly — and contributed to the mini-“flash crash” that struck US equity markets on August 24, according to the report. However, these funds will just as quickly start buying stocks once turbulence abates. Bigger, slower-moving strategies such as RP and CTA momentum funds will be more of a problem in the coming weeks, however. Marko Kolanovic, JPMorgan’s chief quantitative strategist, who wrote the report, estimates that RP has about $350bn of assets under management, against $500bn for CTA momentum funds. In practice CTAs (or commodity trading advisers) are trend-following futures funds. They typically rebalance in response to sharp rises in volatility over the course of days or months, and will continue to put pressure on the stock market. RP funds, which tend to have a six-month “look-back” period over which they adjust volatility, will present a bigger and longer-term headwind. The combined selling of volatility target strategies could reach $300bn over the next “several” weeks, Mr Kolanovic wrote on August 27, with up to $100bn from RP funds. This could trigger a negative feedback loop as selling begets more selling. The renewed US stock market rout on Tuesday, when the S&P 500 ended the day 3 per cent lower after the drop accelerated just before the closing bell, is consistent with RP fund selling pressure. A separate report by AllianceBernstein highlighted the fact that the bond bets of RP funds are juiced up by derivatives or debt to make sure the fixed income positions in a portfolio contribute as much as more volatile equities. While bond markets had been relatively well-behaved in the recent ructions, losses on these positions could “force a broad sell-off in equities and other asset classes as managers rush to meet margin calls”, the report stated. RP fund managers point out that the strategy cannot inoculate investors against all losses, and argue that the strategy these days is a convenient bogeyman during financial convulsions. “Whenever the market falls there are always rumours of a risk parity fund liquidation. They’re still considered a bit mysterious,” says one RP fund manager. Proponents highlight that studies show the strategy does better than most over the long run, so looking at short-term snapshots of performance is unfair and beside the point. The thesis of RP investing is to construct a cheap, evergreen portfolio that will over time beat individual asset classes or a simplistic combination of them, without an investor having to make judgments about which one might do well over the next month, year or even decade. Risk parity is indeed "the whipping boy at the moment" but with the strategy gaining popularity and fears of deflation wreaking havoc on markets, it might be a good time to reassess your pension fund's alpha, beta and beyond. Remember my rule of thumb: When everyone is jumping on the same bandwagon of 'financial sophistication', be very skeptical and start asking a lot of questions. Often times you're better off shunning the latest trend and sticking to the KISS principle. Bond guru Bill Gross, who has long called for the Federal Reserve to raise interest rates, said on Wednesday that U.S. central bankers may have missed their window of opportunity to hike rates earlier this year and doing so now could create "self-inflicted" instability. In his September Investment Outlook report, Gross wrote that his concept of a neutral policy rate closer to a nominal 2 percent "now cannot be approached without spooking markets further and creating self-inflicted financial instability." The neutral rate is the point at which the rate is neither stimulative nor contractionary. 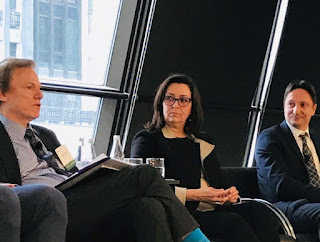 The Fed seems intent on raising the federal funds rate at its policy meeting this month if only to prove that it can begin the journey to normalization, said Gross, who runs the $1.5 billion Janus Global Unconstrained Bond Fund (JUCAX.O). "They should, but their September meeting language must be so careful," that "one and done" is an increasing possibility, Gross said. The "one and done" approach represents the Fed raising rates once and not again, at least for the next six months, Gross said. "The Fed is beginning to recognize that 6 years of zero bound interest rates have negative influences on the real economy – it destroys historical business models essential to capitalism such as pension funds, insurance companies, and the willingness to save money itself." A decline in saving would lead to other problems like decreases in investment and long-term productivity, he added. Gross said: "The global economy's finance-based spine is so out of whack that it is in need of a major readjustment. In this case, even the best of chiropractors could not even attempt it. Nor would a one-off fed fund increase straighten it out." He suggested that major global policy shifts should emphasize government spending as opposed to austerity, adding that countries should recognize that competitive devaluations do nothing but allow temporary respite from the overreaching global problem of too little aggregate demand versus too much aggregate supply. "It is demand that must be increased – yes, China must move more quickly to a consumer-based economy but the developed world must play its part by abandoning its destructive emphasis on fiscal austerity, and begin to replace its rapidly decaying infrastructure that has been delayed for decades," Gross said. Overall, Gross said "super-size" August movements in global stocks are but one sign that something may be amiss in the global economy itself, China notwithstanding. Fiscal and monetary policies around the world now are not constructive or growth enhancing, nor are they likely to be, Gross said. "If that be the case, then equity market capital gains and future returns are likely to be limited if not downward sloping." Gross said cash is king in this environment. "Cash or better yet 'near cash' such as 1-2 year corporate bonds are my best idea of appropriate risks/reward investments," Gross said. "The reward is not much, but as Will Rogers once said during the Great Depression – "I'm not so much concerned about the return on my money as the return of my money." 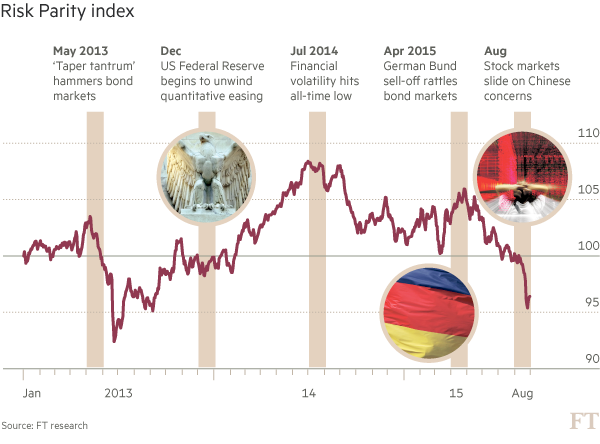 High-quality global bond markets offer little reward relative to durational risk, he added. Private equity and hedge related returns cannot long prosper if global growth remains anemic, Gross said. I agree with many things Gross highlights in his monthly letter but disagree with his conclusion that "cash is king" and that bonds offer little reward relative to durational risk. Go back to read my comment on the bond king's dire warning as well as the Maestro's dire warning on bonds to understand why the scary bond market isn't that scary after all. Even with all the risk parity nonsense going on out there, bonds aren't the bigger short!! 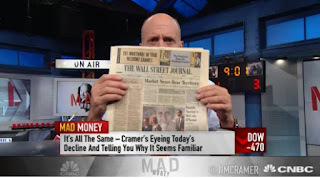 "We are experiencing the new behavior of the highly interconnected global system," he said in a CNBC "Squawk Box" interview. "Clearly, that is suggesting that we have to live now with much higher, high-frequency level of volatility," Trichet said. 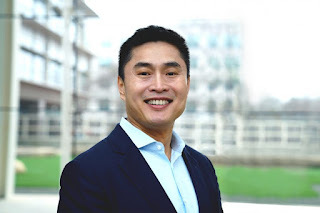 "I'm afraid that this is now part of the system due to globalization, due to the level of interconnectedness at the global level and due to the interaction of machines." "Machines are certainly playing a very important part in the high-frequency volatility that we have observed," he added. Markets across the globe have been taken for a ride this week, with the Dow Jones industrial average having traveled more than 10,000 points ahead of Friday's open amid global growth concerns. This recent volatility has led many to hold off bets for a Federal Reserve rates hike in September. New York Fed President William Dudley said Wednesday that a September rate hike looks less compelling than it did before the rise in volatility. But Kansas City Fed President Esther George said it was "too soon to say it fundamentally changes that picture." "From my perspective, at this moment, the decision to begin the normalization process at the September FOMC meeting seems less compelling to me than it was a few weeks ago," he said. Nevertheless, Kansas City Fed President Esther George said Thursday that a September rate hike was still in play. "This week's events complicate the picture but I think it's too soon to say it fundamentally changes that picture, so in my own view, the normalization process needs to begin and the economy is performing in a way that I think it's prepared to take that," she said. We shall see how the Fed proceeds later this month. I disagree with Fed Vice Chairman Stanley Fischer, inflation isn't rebounding anytime soon and the Fed would be making a monumental mistake if it hikes rates in September thinking so. I think Minneapolis Fed President Narayana Kocherlakota, who recently talked about the challenges of zero-bound rates and tail risks to the U.S. economy, is absolutely right and so is the bond king, who has warned the Fed not to move on rates this year. Below, former ECB President Jean-Claude Trichet shares his thought on Fed policy, and provides insight into market risks he sees around the world. Second, Gloom, Boom & Doom Report publisher Marc Faber explains why markets have “reached some kind of tipping point,” and why the deceleration in China has important ramifications on the U.S. and global economy. 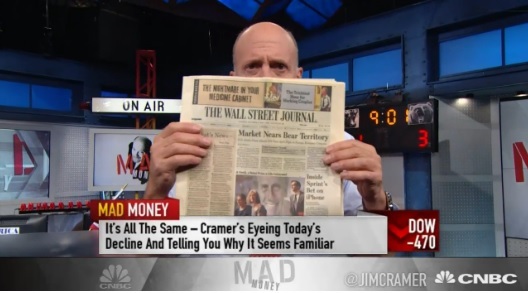 Lastly, Mad Money host Jim Cramer takes a look back at the market collapse in 2011. Will things get better, or will the market nosedive further? I don't know but one thing is for sure, just like in 2011, investors will need to brace for more extreme volatility in all markets, not just the stock market. Buckle up, it will be a very bumpy ride ahead but I'm not in the bear camp and don't think markets will crash this fall. At least I hope not or else many underfunded state pensions are going to be on life support!